True, Mossimo Giannulli is famous for being the husband of actress Lori Loughlin but that’s not the only reason he’s a celebrity. The man is an American fashion designer, the founder of Mossimo, a clothing company he established in 1986. Interestingly, the clothing line which has today become a multi-billion-dollar company had a very insignificant beginning as it was launched in a garage. All that Giannulli had was the $100,000 loan he obtained from his dad. This was after he abandoned his education at the University of Southern California where he was studying architecture. Anyway, Mossimo was able to propel his clothing business to such level that it attracted the attention of Iconix Brand Group. The group bought the enterprise in 2006. What has the fashion designer been up to since then? Let’s find out together. It was on the 4th of June and in the year 1963 that the fashion designer was birthed. His place of birth was in Southern California. Named Massimo Giannulli, the fashion designer changed his first name for ease of pronunciation. He is the first child of his parents (Gene Giannulli and Nancy Giannulli) and was raised alongside his younger ones in Southern California. When Mossimo was done with high school, he moved on to the University of Southern California. But as fate would have it, he abandoned his studies three years into it so as to pursue his dream of becoming a fashion designer having been inspired by his environment. In a bid to actualize his dream, Mossimo Giannulli, who was in his early twenties then, took a $100,000 loan from his father and started a small eponymous beach lifestyle company in a garage situated in Balboa Island, Newport Beach, Southern California; this was in 1986. Within the first year of starting off, the then-budding fashion designer made a whopping $1 million and by the following year, he grossed $4 million. This only encouraged him to expand the business. By 1994, Mossimo, Inc. had already become a multi-million-dollar company with Mossimo Giannulli counted among the youngest CEOs in the country. It was only natural that the brand went public in 1996 and as expected, its value soared. For 17 years beginning from March 2000, the company was a prominent fast-fashion label on target stores following a $27.8 million multi-product licensing contract with the eighth-largest retail company in the United States. 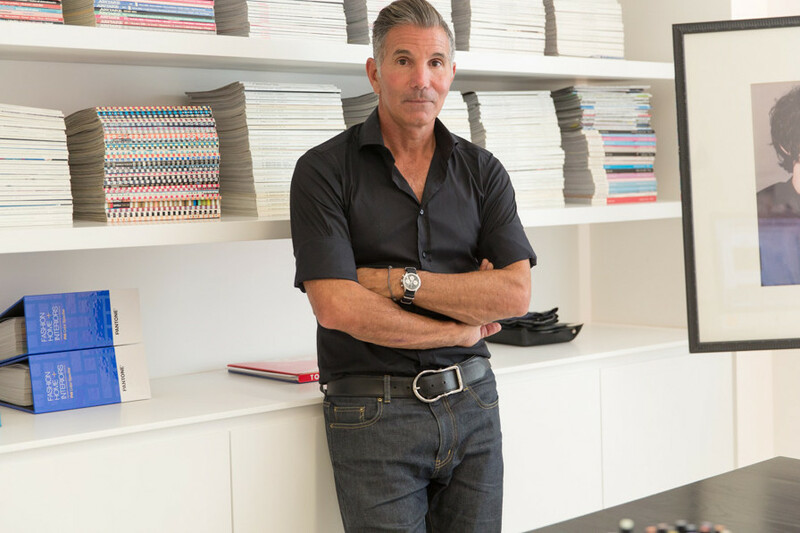 6 years into the deal, precisely in 2006, Mossimo Giannulli sold his brand to Iconix Brand Group. Mossimo clothing is currently sold both within and outside the US. In September 2018, the brand collaborated with The Simpsons to produce an array of street wears which had the cartoon characters emblazoned on them. Following his huge exploit in the fashion industry, Mossimo Giannulli has garnered a $50 million net worth according to various reliable sources. Mossimo Giannulli has been married twice, first to a lady known simply as Chris with whom he had a son named Gianni Gene Giannulli. They were married for only five years before the union ended in a divorce. The designer met his second wife, actress Lori Loughlin in 1995, at a Los Angeles restaurant and after they dated for two years, they eloped and got married on November 27, 1997, with both of them wearing ski hats and sweatpants for the impromptu occasion. They then went to Thanksgiving dinner and told everybody that they had gotten married. Just like Giannulli, Lori, who is well-known for her role in the sitcom, Full House, had also been married once. She got married to Michael R. Burns in 1989 and in 1996, they got divorced. Giannulli and Lori have two daughters together. They welcomed their first daughter, Isabella Rose, on September 16, 1998, and the following year, Olivia Jade was born. She arrived on the 28th of September 1999 and is known for her self named YouTube channel where she posts videos about makeup, fashion, lifestyle, and occasionally, some challenges. The fashion guru currently resides in Southern California with his family. In March 2019, Mossimo Giannulli and his wife were named alongside others in a scandal that involves them paying $500,000 in order for their daughters to gain admission into the University of Southern California. Mossimo and Lori surrendered to federal authorities in Los Angeles but were eventually released after each of them had met their $1 million bail condition. Although they are yet to be pronounced guilty as charged, the family is already feeling the brunt of the scandal.